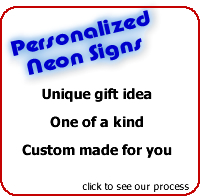 This neon sign was created from a picture sent to us by email. 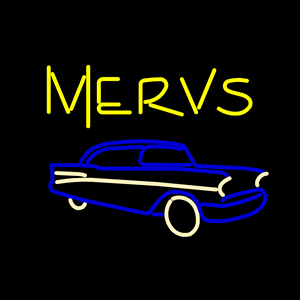 We were told to make the neon of the car blue and white with a yellow “MERVS” above. We emailed a few letter styles to choose from. We then emailed a layout for approval. 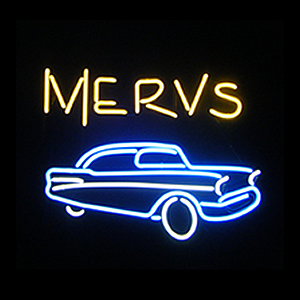 The neon sign was created, shipped, and ready to hang in the garage.